Businesses are under more pressure than ever to create new and better products and services faster. Everybody is talking about disruption and everybody wants to disrupt. To do so, businesses need to cultivate a culture of innovation, and the best way to do that is through idea management. Many organizations miss out on their most productive source for innovative ideas: the employees. Studies have shown that employees are the best source of new ideas, and often it’s a natural part of their daily work to come up with creative solutions and improvements. However, many organizations do not tap on that source even though it can provide them with a big return on investment if they had included employees in the idea generation process. There are many reasons to innovate and each organization has to identify that reason for themselves. You might want to reduce costs and increase efficiency along the way. Of course, more often than not, the motivation to innovate is to improve the organization’s bottom-line and gain a competitive edge over your industry rivals. 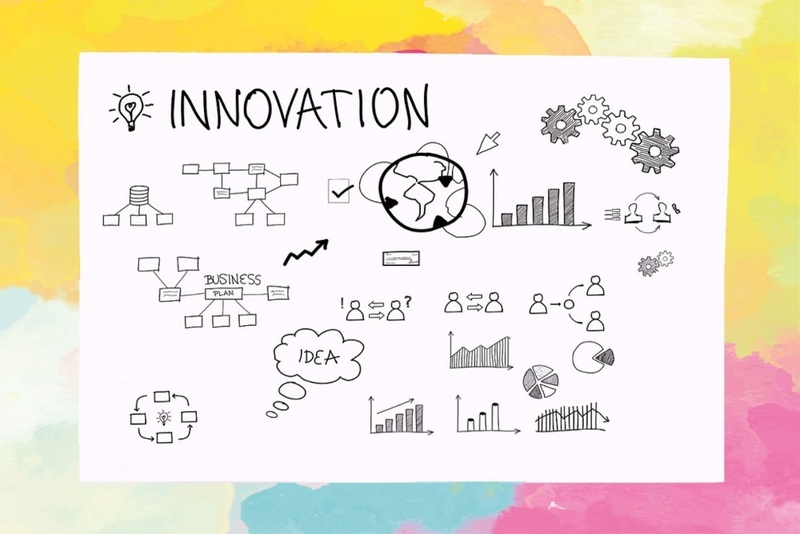 Only if you determine the reasons for why you need to innovate, can you create an effective innovation process. Idea management is the first part of the innovation process, during which ideas are gathered and evaluated and prioritized in a structured process. It also includes methods and tools that make the whole process of collecting and assessing more efficient and effective. Idea management can be used to come up with all kinds of innovations, from making improvements to existing products and services, to coming up with disruptive new business ideas. Idea management processes can be implemented on a smaller scale, e.g. only in one internal department, but can also include the whole organization, or even external stakeholders, such as customers and business partners. There are many benefits to idea management. First, it helps organizations make full use of the creative potential of all of their employees. A nice side effect of this is that employees are more engaged and satisfied, which in turn leads to stronger attachment to the organization. Second, idea management makes innovation processes more efficient, which means that organizations can reduce costs, while increasing the quality of their product or service. This all leads to a higher return on investment. There are challenges to managing ideas effectively as well. It’s hard to engage and motivate employees to share their ideas. The challenge is to encourage and harness their creative potential. If you are able to collect different ideas, the next challenge is to evaluate and prioritize the vast amount of ideas and filter out the ones that are worth pursuing. It is also not easy to create an idea management process that is sustainable, you will need the right infrastructure and guidelines which will have to align with the overall organizational and innovation culture of your business. Successful idea generation is only possible if you have a structured idea management system and process in place. Have clear guidelines on how employees can submit new ideas, comment or give their opinions on ideas. You will also need a system in place to track idea submissions and to further develop those ideas that seem promising. It’s advisable to appoint a person as the idea manager, who is responsible for collecting ideas and who makes sure that the idea management process is up and running. The tasks of an idea manager include motivating staff to come up with new ideas, e.g. by organizing campaigns or workshops, and also analyze which ideas have the highest potential, i.e. those that reduce costs, increase the ROI, or accelerate business growth. It’s important to have a diverse pool of staff who contribute to the idea generation process. Engineers are not the only ones who can come up with great innovations, it’s often workers who are directly involved in the nitty-gritty that know best where issues lie and where improvements can be made. Idea generation is about finding the best ideas out of a vast pool of ideas, which is why you need to include everyone in the process. Idea generation is not about perfection, and it’s wrong to just judge ideas by their contributions to the bottom-line. Not every idea will increase your bottom-line directly, but that doesn’t mean that you should dismiss these ideas. The idea might not be right to solve one problem, but it might be helpful in solving a future problem (see SCAMPER method). Or the idea might have a positive impact on other aspects, such as increasing workplace safety or employee wellbeing, which are just as valuable as increasing the bottom-line. Dismissing ideas constantly and only acknowledging some ideas can also have a bad effect on staff morale and motivation and discourage them from submitting new ideas. It’s important that leadership and management encourage innovation by fostering an innovative and creative culture, but also by providing employees with enough time to come up with new ideas and effective solutions. The best example is 3M: The company allows employees to spend up to 15% of their work time to pursue their own projects, “free to look for unexpected, unscripted opportunities, for breakthrough innovations that have the potential to expand the pie”(Source: HBR). Idea Management: How to Generate New Ideas and Innovations - InLoox • Copyright 1999-2019 © InLoox, Inc. All rights reserved.